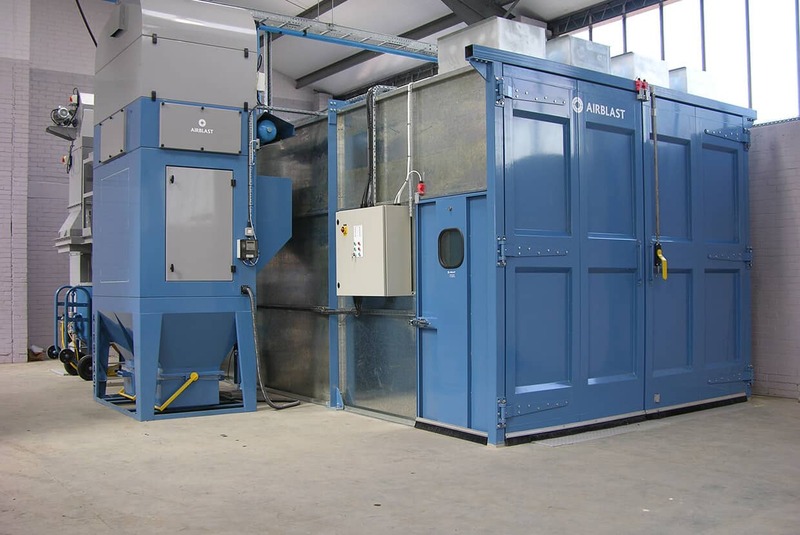 Our modular blast rooms offer a more flexible solution and can be built to almost any shape or size. 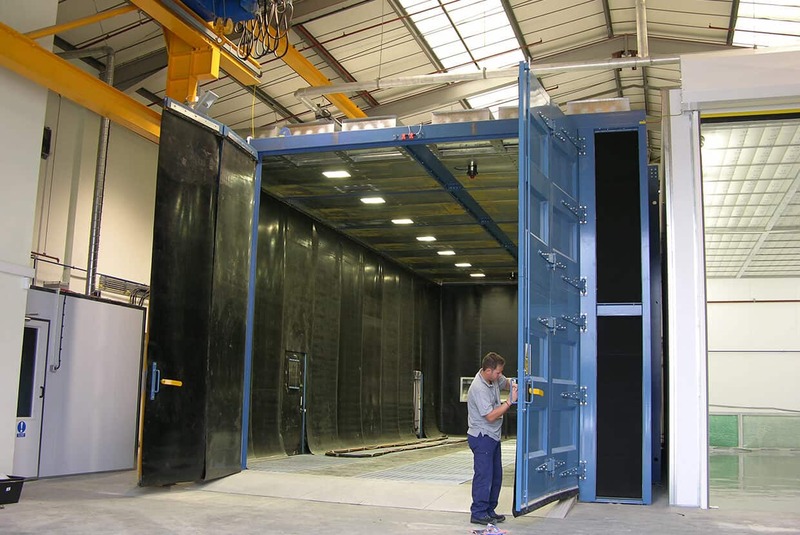 Modular blast rooms are made primarily from a standard 2mm galvanised steel formed panel complemented with heavy duty doors and door frames. 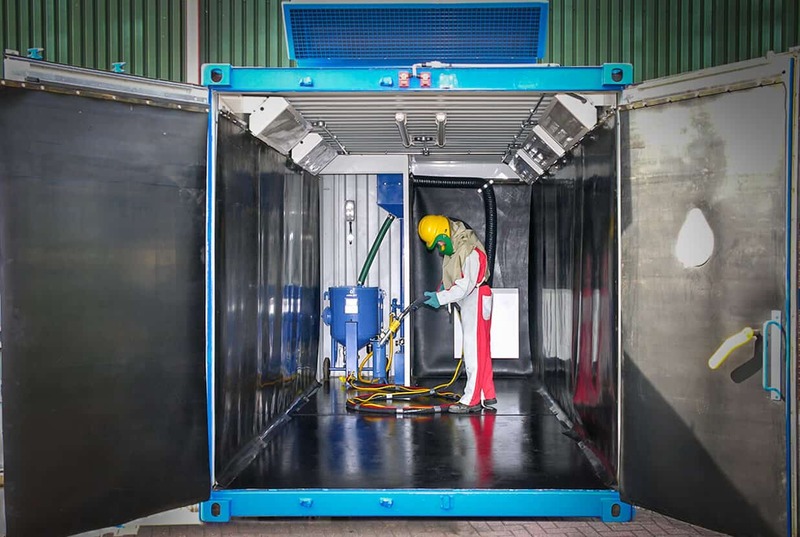 They can be built up to almost any shape and size from a 10ft cube to a booth capable of enclosing a rail carriage and beyond. 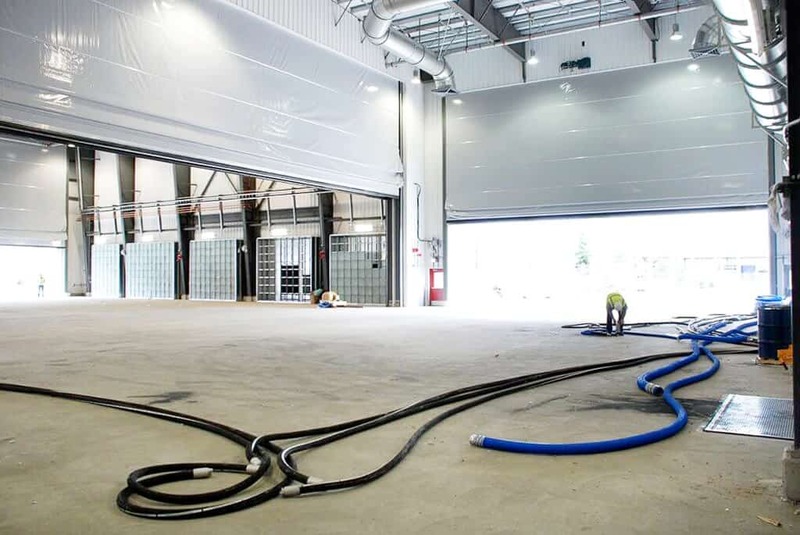 Made from heavy gauge steel and powder coated, our modular blast room cargo doors are robust enough for the harshest blast environments. 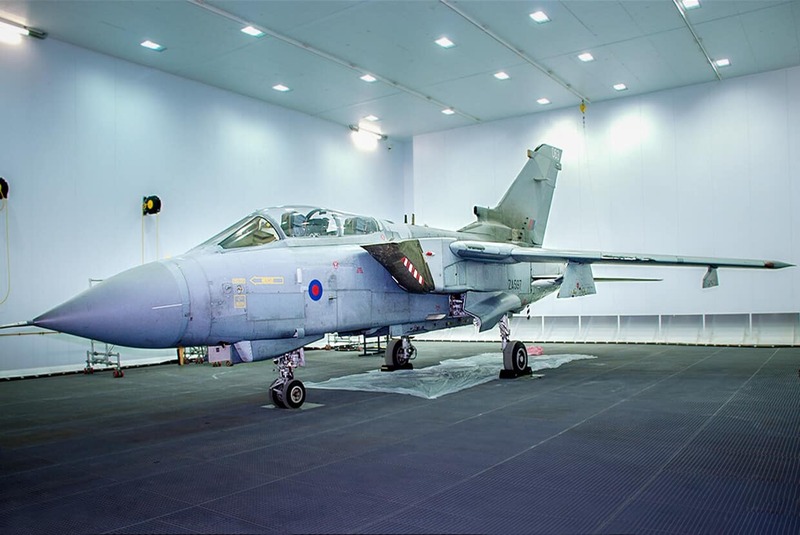 The hinge is manufactured from 10mm plate to guarantee no door sagging even over wide openings. 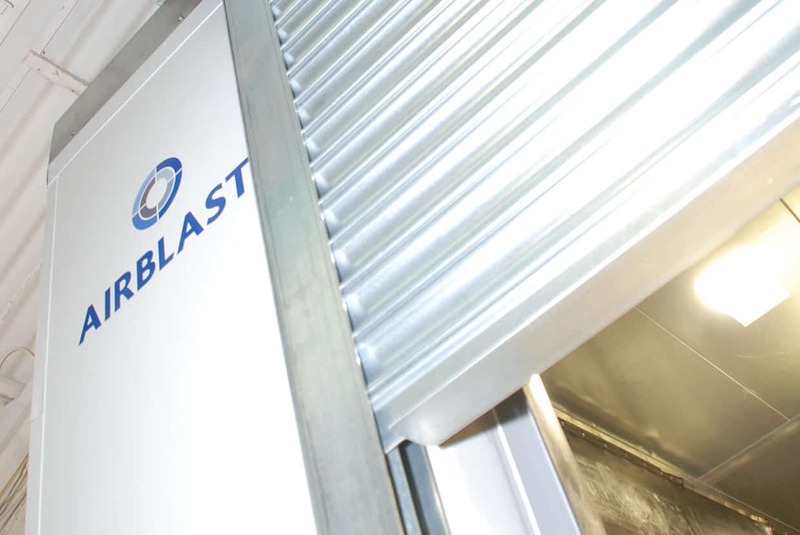 To view a PDF brochure of all the blast rooms we offer please click here. 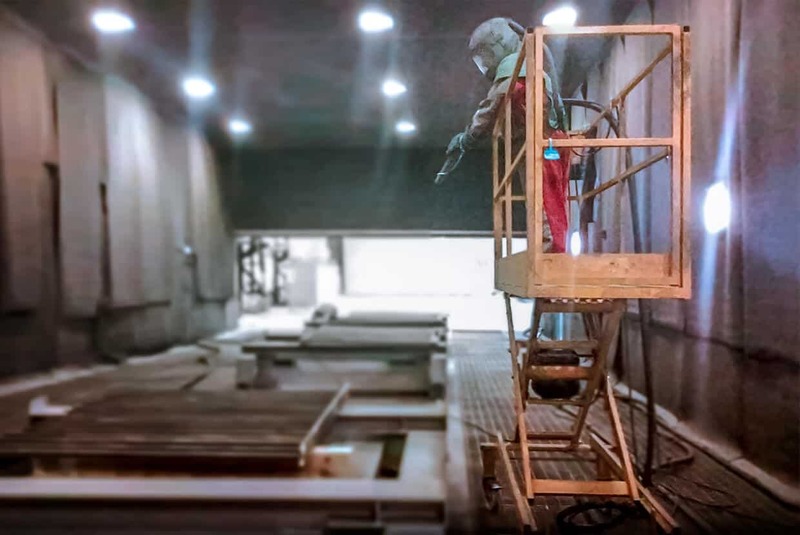 Blast room design from the leaders in blast and spray innovation. 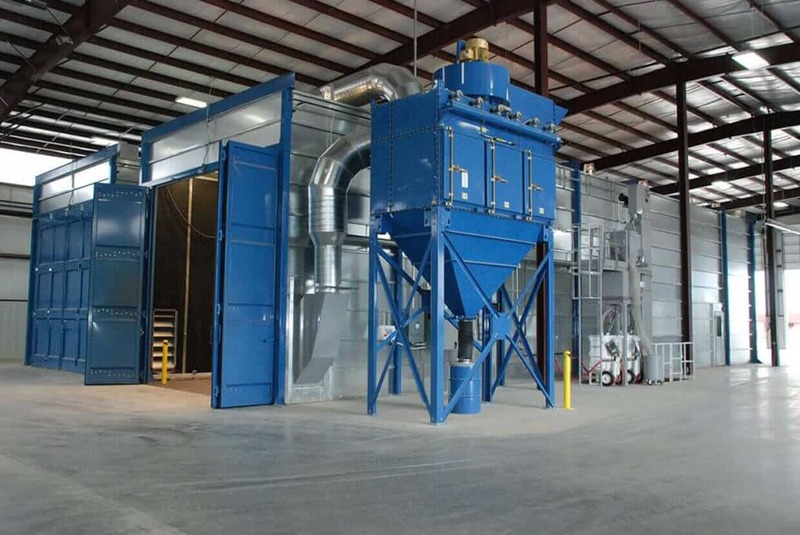 Sound attenuated blast booths improve safety and reduce noise. 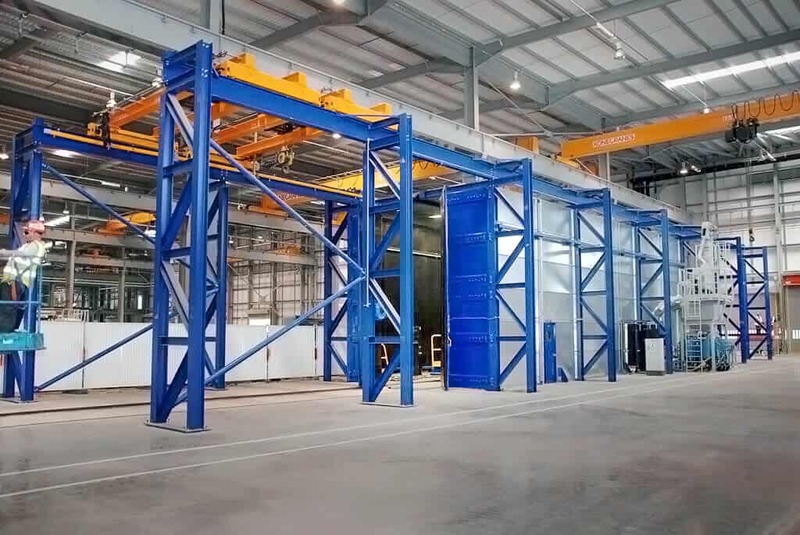 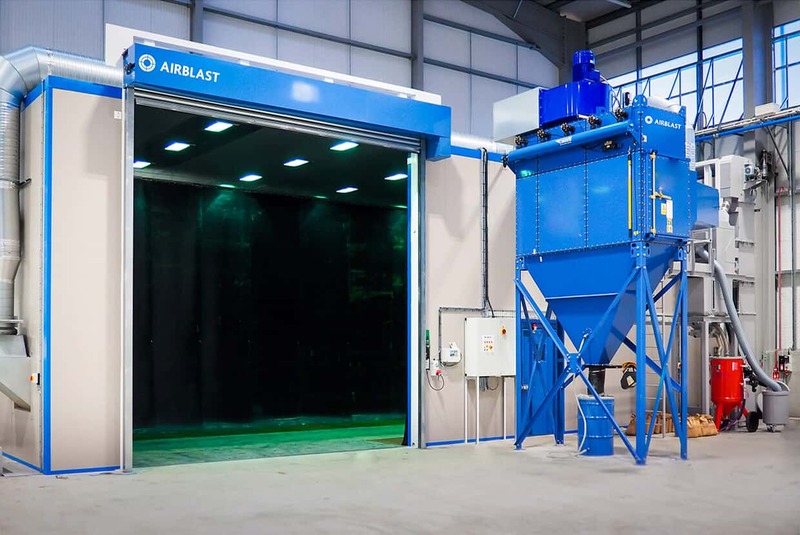 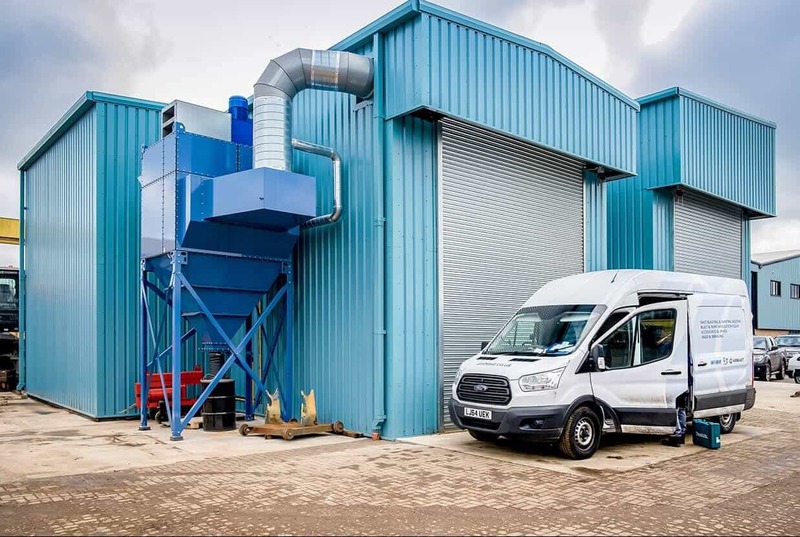 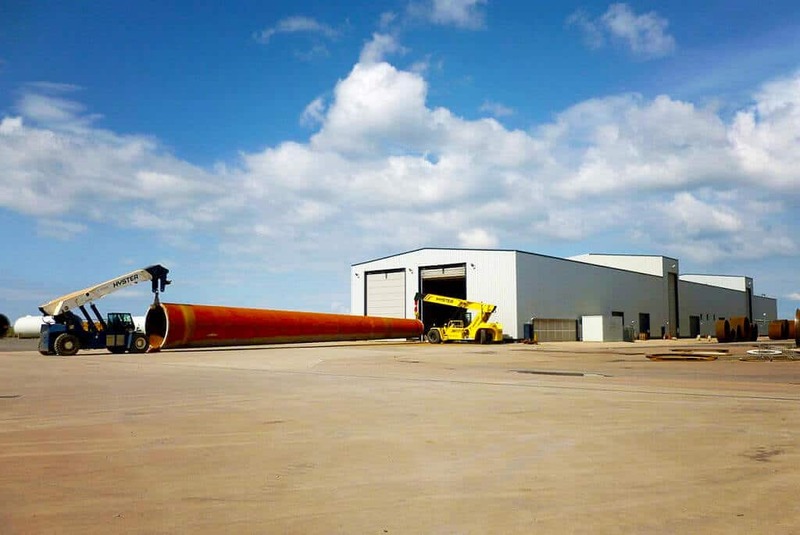 Bespoke blast rooms for a variety of sectors, from Aerospace, Oil & Gas and Marine to Road Haulage, Rail, and Wind Power.